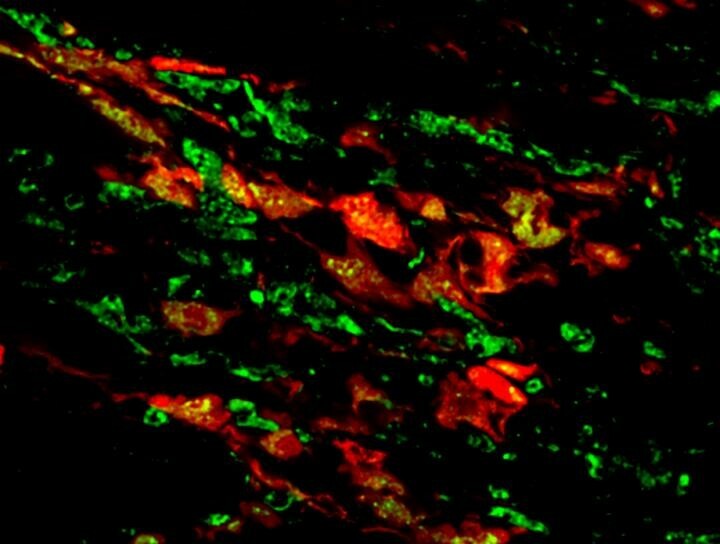 Researchers from the UNC School of Medicine have discovered that cells called fibroblasts, which normally give rise to scar tissue after a heart attack, can be turned into endothelial cells, which generate blood vessels to supply oxygen and nutrients to the injured regions of the heart, thus greatly reducing the damage done following heart attack. Ubil and his colleagues wondered if the switch ever flipped the other way — could fibroblasts turn into endothelial cells. To explore this idea, they induced heart attacks in mice and then studied the fibroblasts to see if the cells expressed markers characteristic of endothelial cells. To their surprise, almost a third of the fibroblasts in the area of the cardiac injury expressed these endothelial markers. The researchers found that the endothelial cells generated from fibroblasts actually gave rise to functioning blood vessels. “As luck would have it, that was the first gene I tried, and that was the last gene I tried,” said Ubil, who conducted the research as a graduate student in the laboratory of former UNC faculty member and senior study author Arjun Deb, MD.